Tim Duncan is the greatest Power Forward in NBA history. He may also be the greatest player that no one ever talks about. A winner of back-to-back MVP awards (2002-03), Rookie of the Year (1998) and 13 appearances on the All-Star, All-NBA and All-NBA Defensive teams, Tim Duncan has done it all in the NBA. He may not be on all of the Sportscentre Top 10 Highlight reels and have the flashiest of moves, but he doesn’t need to be that kind of player. Duncan plays the game of Basketball with a type of grace and technical mastery that all big men should aspire to have. 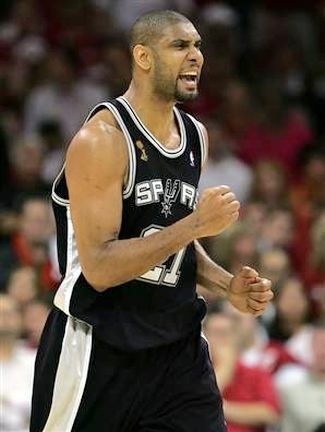 He has led the San Antonio Spurs to 4 NBA Championships (99, 03, 05, 07) and won the Finals MVP 3 of those 4 times. Due to his laid-back personality and style of play on the court, he may never get the full respect and appreciation that he deserves from fans around the league. At age 35, Tim Duncan’s career is nearing the end. For a Basketball fan who appreciates the subtleties of the sport and loves to watch good ole’ fundamental Basketball, it will be a shame for me to see Duncan one day hang it up for good. 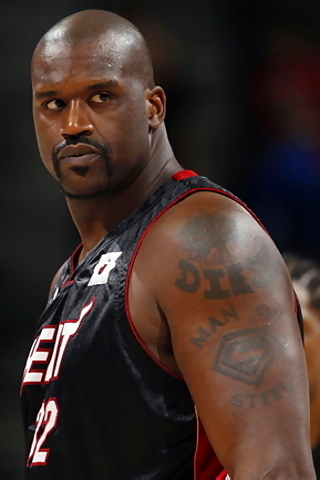 Shaq. The Big Shaqtus. The Big Aristotle. Superman. The Big Diesel. You can call him whatever nickname you like, but what you do have to call him is one of the most dominant, powerful, imposing forces in the history of the NBA. How could I not include a guy who is the only player in NBA history to average a triple-double over an entire NBA Season? That is a feat that even the best players in the NBA today can’t come close to accomplishing. In 1962 as a member of the Royals, Oscar Robertson averaged a staggering 30 points, 12.5 rebounds and 11.5 assists for the entire season. If you combined the totals from his first 4 seasons, he would also be averaging a triple-double as well. He is the first guard in NBA history to average 10 or more assists a game during a season, a feat which is more impressive because this was during a time where the criteria for what an assist was differed greatly from today’s game. 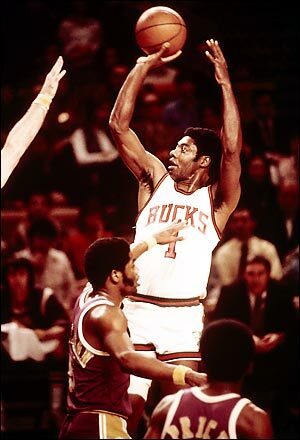 A 12 time NBA All-Star and MVP in 1964, Robertson would also help lead the Milwaukee Bucks to their one and only NBA Championship in 1974. His versatility on the court and his ability as a 6’5 Point Guard to be able to score, rebound and pass the ball make him one of the greatest of the great in NBA history. 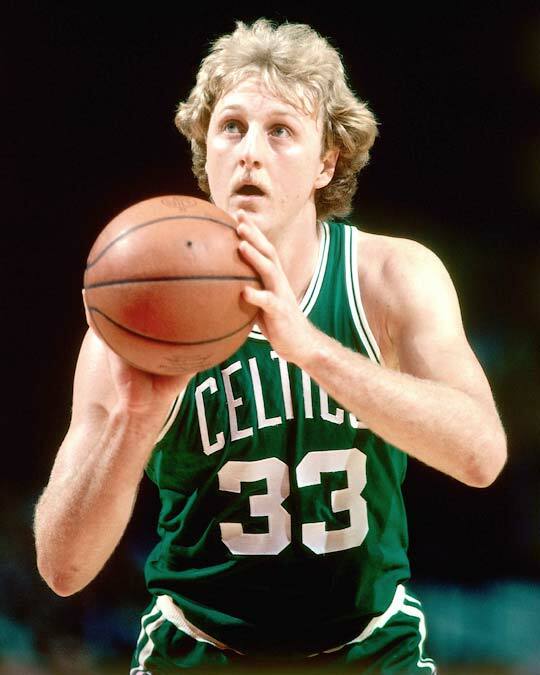 You could make the argument that during the 1980’s, that there was no better player in the NBA than Larry Bird. Bird would win 3 straight MVP’s during that time period (84-86), as well as 3 NBA Championships (81, 84, 86) and 2 Finals MVP awards. He would finish his career with 12 appearances on the All-Star team, 9 on the All-NBA team and 3 on the All-NBA Defensive second team. At 6’9, Bird had the versatility to play both small and power forward for the Celtics. 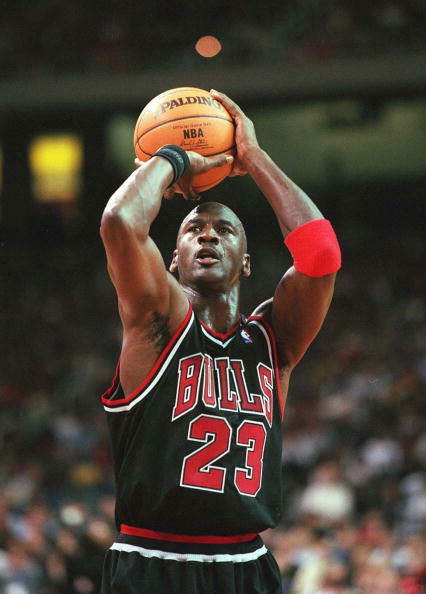 His shooting ability at his size caused a lot of trouble for opposing teams. On 2 occasions, Bird shot 50% from the field, 40% from 3-point range and 90% from the free throw line for an entire season. He was the true definition of what a leader was on and off the court. His teammates admired him, Celtics fans loved him, and opposing crowds and teams feared him. He had the heart of a champion, and left it all on the court every night he competed. His battles with Magic Johnson and the Lakers during the Eighties are stuff of legends, and helped add to what may be the greatest individual and team rivalry in NBA history. This just goes to show you how good the players are on this list , considering Larry Legend is only at #7. Scoring 100 points in a game basically guarantees you a place on the top 10 players in NBA history. Calling Wilt “The Stilt” Chamberlain a dominant NBA Center during his time may be an understatement. 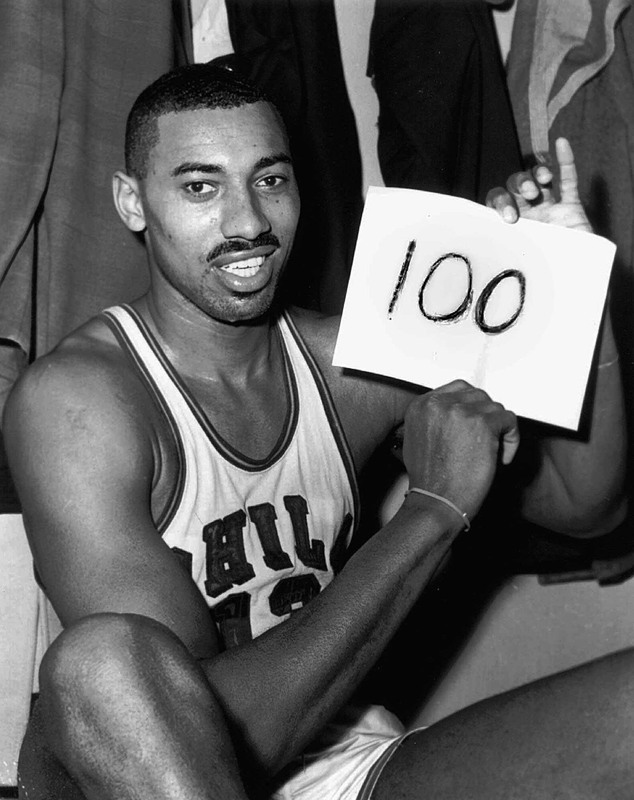 In 1962, Wilt Chamberlain averaged 50 points a game, a statistical output that will never be repeated again. His career average of 30.1 points a game ties him with Michael Jordan for the most in NBA history. Chamberlain is a 4-time MVP (1960, 1966-68), 2-time NBA Champion with the 76ers and Lakers and a 13 time NBA All-Star. He sits at #4 All-Time on the NBA scoring list and #1 on the All-Time rebounding list. Did I also mention that he scored 100 points in 1 game? Just wanted to re-iterate how unbelievable that number is, and how that record will never be CLOSE to be being broken. For those wondering why Wilt isn’t higher on the list, he did play during an NBA era where the competition wasn’t nearly at the level of modern-day Basketball, and that showed in his numbers. Despite all of that, the stats Wilt put up are mind-blowing, and will withstand the test of time. I expect this pick to garner the most controversy out of anyone I have put on this list. You would have to be pretty oblivious to not see what Kobe Bryant has accomplished during his tenure with the Lakers, and he is still going strong. Numbers, and Championships…they don’t lie. 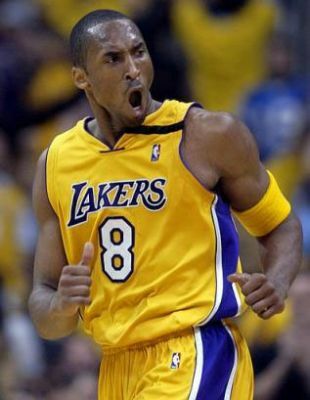 Bryant has won 5 NBA Championships over the course of his career. Yes, he did have Shaquille O’Neal for 3 of them, but that doesn’t lower the value of that accomplishment at all. He is a 13-time NBA All-Star, 2-time NBA Scoring Champion (2006-07), and to prove that he just isn’t a one-trick offensive pony, he has made the All-NBA team AND All-NBA Defensive team 9 times. He also put up the 2nd highest scoring output in league history with 81 points against the Toronto Raptors back in 2006. Kobe Bryant may be the most clutch player the league has seen since Michael Jordan. Bryant has hit 7 game-tying or game-winning playoff shots throughout his 15 year career. Arguably, there isn’t a player in the league today that you would want the ball in the hands of more than Kobe Bryant. #24 still has a few solid years left in him, and at the rate he is playing, he may push himself higher up this list when it is all said and done. Bill Russell is, in my opinion, the greatest Defensive player in NBA history. He played during a time where blocks and steals weren’t even accounted for, and I am still calling him the best Defender ever. 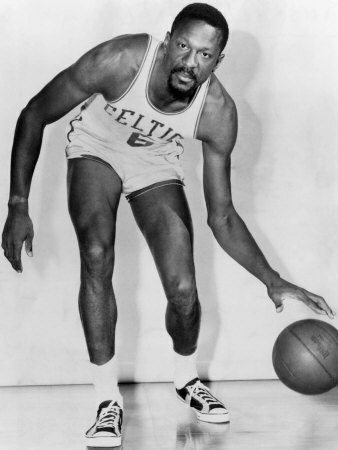 Bill Russell is an 11-Time NBA Champion with the Boston Celtics. That is more championships than Michael Jordan and Kobe Bryant combined. Bill also won the NBA MVP award on 5 different occasions ((1958, 1961-63, 1965), was a 12-time NBA All-Star and made the All-NBA team 3 times as well. To have one of, if not the greatest defender of all-time, as well as (clearly) the greatest champion of all-time on this list would ruin its credibility. Bill Russell remains one of the most respected players around the NBA circle today, and still offers his years of wisdom to the next generation of basketball talent. During his 20 year run in the NBA, Kareem scored more points than any other player in league history, with 38,387. His “Sky Hook” was lethal, and on a majority of nights, it couldn’t be stopped. At 7’2, 225 lbs, Kareem had the physical presence to take over any game he was in, and that is why he is the leagues all-time leading scorer. Over his career with the Bucks and Lakers, Kareem would win 6 NBA Championships (1 Bucks, 5 Lakers), 6 NBA MVP Awards (1971-72, 1974, 1976-1977, 1980), 2 Finals MVP Awards (1971, 1985) and would make the NBA All-Star team 19 out of a possible 20 times. 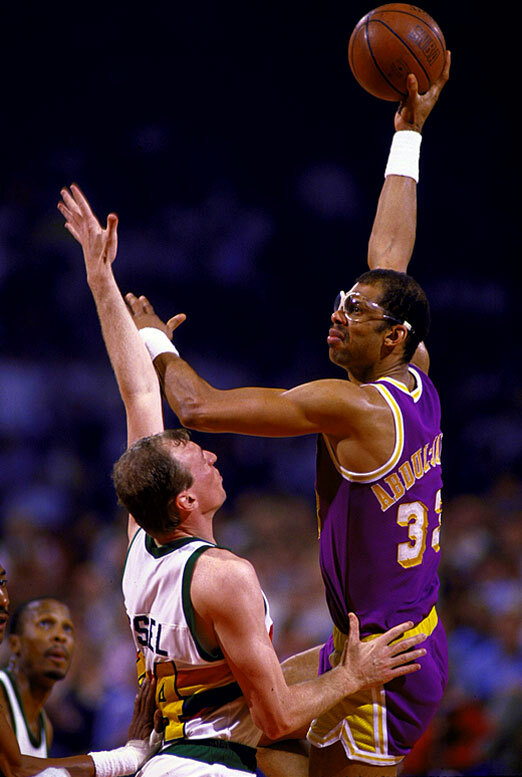 As well as scoring the most points in NBA history, Kareem ranks #3 all-time in rebounding and #3 all-time in blocks. To figure out rankings for Kareem, Wilt Chamberlain and Bill Russell was tremendously difficult. In the end, Abdul-Jabar won out due to his great statistics over a 20 year span, as well as his NBA Championship history. Playing until he was 41 years of age, he still managed to play with the ferocity and poise he had when he was 12 years younger. He is the greatest big-man to ever wear a Lakers uniform, and maybe the greatest all-around big-man to ever step foot on an NBA court. Magic Johnson was the ultimate “Swiss-Army Knife” for the L.A Lakers, because he was capable of playing all 5 positions on any given game. Trust me, I don’t think we will be seeing any current Point Guards playing the Center position any time soon. Magic led the “Showtime” Lakers to 5 NBA Championships along side #3 Great Kareem Abul-Jabar. Without Magic though, those championship wins do not occur. He is considered to be the greatest passer in league history, sitting #4 on the all-time assists list and #1 all-time in career assist average at 11.4 per game. He also was a 3-time league MVP and a 12-time NBA All-Star during his 12 year career. His time in the league was cut short in 1992, when he announced to the world that he had been stricken with the HIV Virus, forcing him into retirement. If he had been able to play a full career, then maybe my #1 selection would have had a run for his money on the greatest of-all time list. 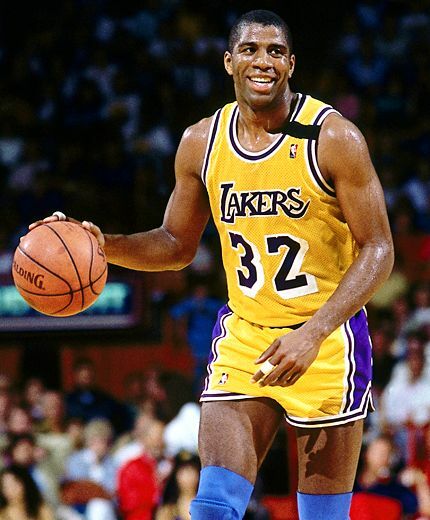 Despite his early exit from the NBA, Magic Johnson remains one of the more beloved figures in the sport, and will always be remembered for his spectacular passes and overall enthusiasm for the game of Basketball. Was there any doubt in your mind as to who would be selected as the greatest player in NBA history? To try to fit all of Michael Jordan’s accomplishments into this tiny space would be doing his career an injustice. ……..whew, I give up. There is so much more that I am leaving out, like All-Star MVP’s, Steals titles, Dunk Contest wins, his abundance of game-winning shots etc. That is just proof in the pudding that Michael Jordan is the greatest thing since sliced bread. To have a list where he wasn’t the clear-cut #1 greatest of all-time would be lunacy and would make me re-evaluate my dream of being a sports journalist. This entry was posted in NBA, Walder Top 10 and tagged Bill Russell, Boston Celtics, Greatest Players in NBA History, Kobe Bryant, Larry Bird, Los Angeles Lakers, Magic Johnson, Michael Jordan, NBA, NBA Top 10, Oscar Robertson, Shaq, Tim Duncan, Wilt Chamberlin. Bookmark the permalink. You don’t even have LaBron James in the top 20 greatest players? Seriously? You actually think Isiah Thomas was a better player? In his rookie year James was probably a better player than Thomas at his prime. Sheesh. It’s really hard to take you seriously. It would like if you listed the greatest 20 hockey players of all ime and forgot to list Mario Lemieux. where is Hakeem in the list. bird better than magic?